The Generations Store in Waterloo, Ont., had a “We want your quality thrift goods, not your garage sale leftovers” sign, because management knew that if it hadn’t sold at the home sale, it was destined for the garbage bin at the thrift store. What to do with large lots of goods, like the T-shirts that proclaim the wrong winning team after a championship game? What to do if some goods sell well in one store, but another store has an oversupply? What to do with Christmas decorations donated in January and the store is too small for storage? 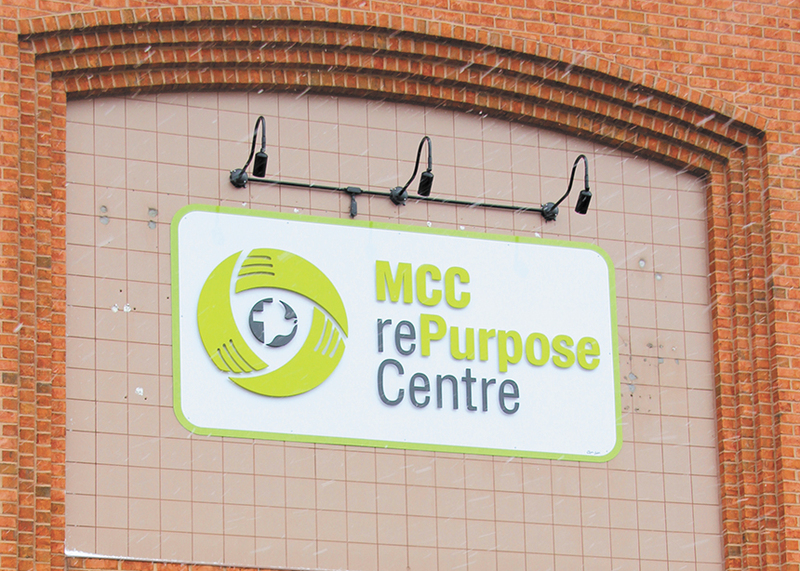 Meet the new MCC rePurpose Store in Elmira, which opened on March 1, 2018. Located in a former grocery store, but most recently used as a Mennonite Disaster Service depot for housewares and clothes for the Syrian refugee campaign of 2016-17, the store has 7,900 square metres of space, including 2,700 square metres for retail, with the rest for processing and storage. The seven MCC-owned shops, three associate stores and another more loosely connected one send materials they can’t sell or that they want stored for another season. Clothing, fashion accessories, footwear, bags, fabric, linens and craft supplies sell for $1.88 a pound. Books, housewares, sporting goods, clocks, pictures, frames, toys, media, hardware and pet goods go for 88 cents a pound. Jewellery, glasses and watches are priced at $5.88 per pound. All kinds of customers come in to shop. Young parents with kids go through the clothes. Crafters discover “found items” and turn them into art or other products. Resellers stock their own stores. Grandparents are amazed at what a looney will buy in costume jewellery for a granddaughter. The goal is a dignified shopping experience, with an environmental component, and proceeds to MCC’s larger work. Karla Richards, MCC Ontario’s social enterprise operations manager, notes that the store honours the donors’ intentions. The store also supports MCC’s intention to not market used North American goods overseas. If it doesn’t sell, says Richards, then some of it goes bulk to other sellers or is turned into rags or textiles for other uses. Bulk vases are being sorted and sold back to florists. Some will go to the dump, but some will be turned into other products onsite as projects are begun. In its first month, the store diverted nearly 77 tonnes from the landfill. 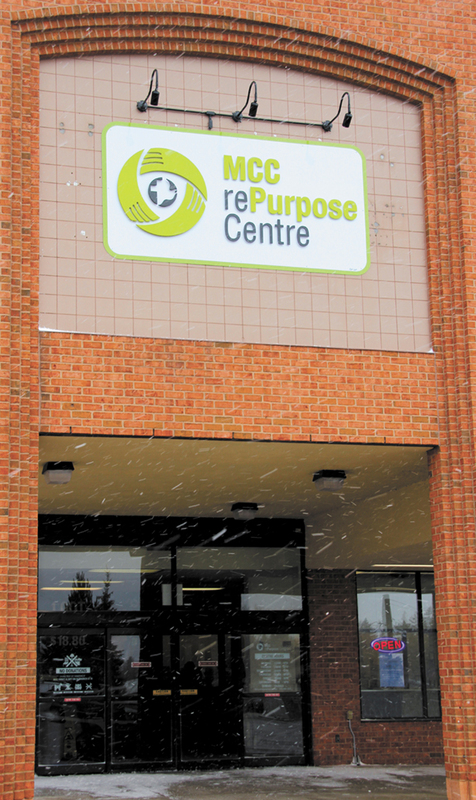 After one month, Richards, and Jan Martens Janzen, MCC Ontario’s director of social enterprise, note that they need more staff than expected, and also more change rooms. Volunteers include high school students who need volunteer hours to graduate, as well as seniors. MCC has supported the project with research and a five-year budget. “There is no reason to believe it won’t work,” says Martens Janzen.